170396 crosses Cow Common, near Manea on 22 January 2005. 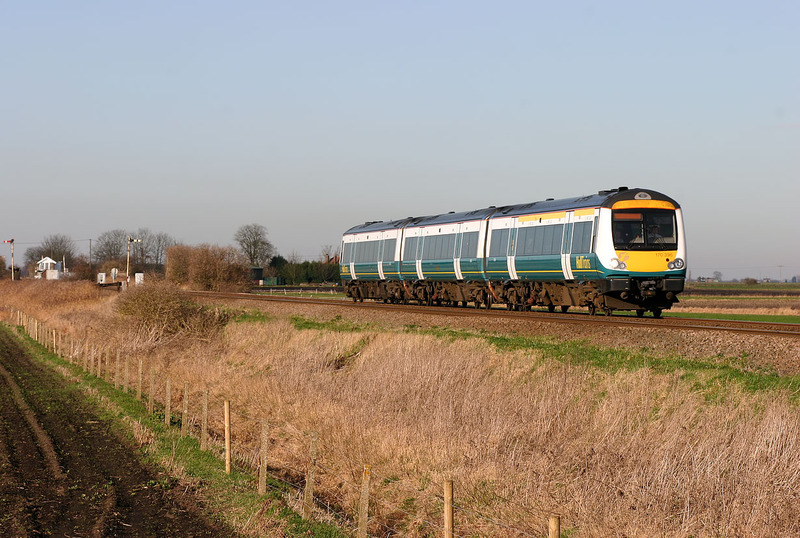 Quite what brings a Hull Trains Class 170 to the Fens is unclear. Is this the 10:05 Hull to Kings Cross service, diverted away from the East Coast Mainline at Peterborough? Any information would be gratefully received.